Janine is an active traveller who seeks out the best lattes worldwide, whilst collecting as many stamps in her passport as possible. 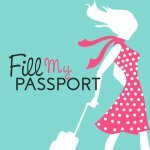 She has travelled to almost 40 countries and has luxury, budget, tour, road trips, near-death moments, and bucket list checked experiences packed in her suitcase. She hopes to continue travelling as she builds a successful life and family with her husband. She is the owner and chief editor of her company Editor-in-Style, and writes for her travel blog Fill My Passport at fillmypassport.net and building her foodie blog The Scotch Egg, to be available soon at thescotchegg.net. She loves finding independent cafes and rainbows randomly appearing in the sky on her travels. HUGE selection and lots of rich choices!